The Global Impact Investing Network (GINN) – in partnership with JP Morgan – has published a new report “Perspectives on Progress” surveying impact investment trends. The survey indicates that respondents report that they committed $8 billion to impact investments in 2012, and plan to commit $9 billion in 2013. 96% of survey respondents say they measure their social/environmental impact of their investments and four out of five fund managers highlight the importance of impact measurement for raising capital. 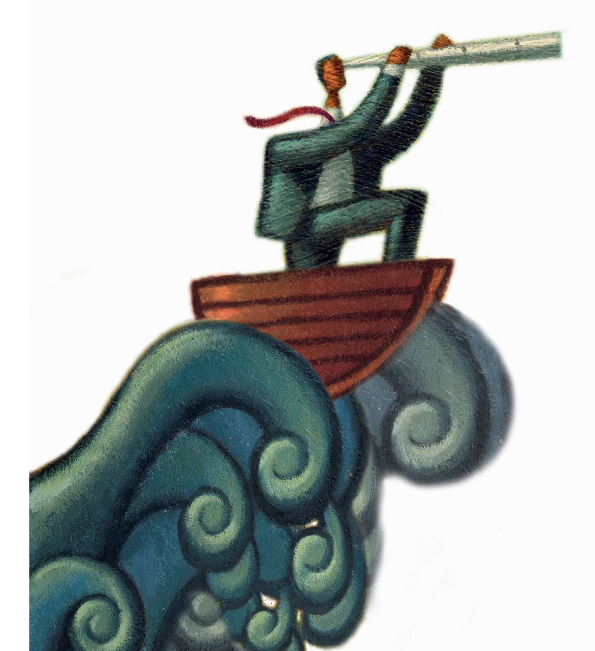 The survey measured the behaviors and attitudes of a total of 99 investment organizations. Sixty-four percent of equity investor respondents stated that they had at least one, if not many, investments significantly outperform their financial return expectations while delivering the expected impact. When asked about their top motivations for impact investments, investors cited commitment to being a responsible investor, efficiency in meeting impact goals and financial attractiveness relative to other opportunities as the top three reasons for making impact investments. Interestingly, Sub-Saharan Africa received the largest percentage of impact investments with 34%. Latin America and North America tied with 32% of impact investments. Oceania came in last with only 5% of the investments. You can download a copy of the GINN report here. Conference Board: What Board Members Should Know About Communicating CSR. In a significant white paper directed to corporate board members, The Conference Board has challenged directors to be aware of the benefits of corporate social responsibility (CSR) strategies and the challenges of communicating those actions to key stakeholders in the enterprise. 1. Seek CSR activities that fit into the business strategy. 2. Emphasize CSR commitment and impact to foster consumer advocacy. 3. Seek credibility through the support of independent, external communication sources. 4. Encourage employee and consumer word-of-mouth. 5. Select social initiatives with high issue support. 6. Be mindful of stakeholder perception of business industry. We are still surprised how passive and latent the CSR communications activities are. The Conference Board recommends in their research that more consumer engagement is a critical next step to elevate CSR attribution and success. In other words, CSR should become a cornerstone asset in the brand’s equity and marketing focus. The Conference Board Report Is Here. 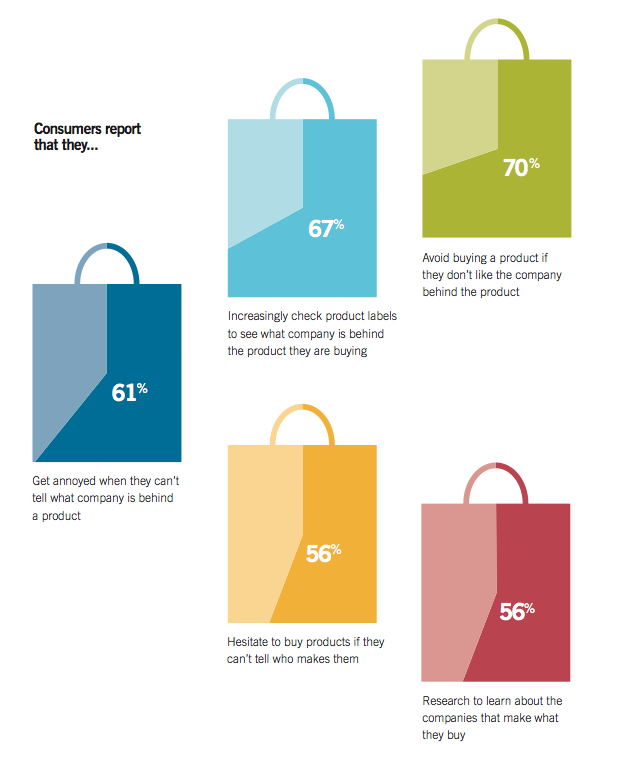 New Report: 70% of people won’t buy a brand if they don’t like the parent company. Weber Shandwick has released the results of “The Company Behind the Brand: In Reputation We Trust,” a study finding that 70 percent of consumers won’t buy into a brand if they don’t like the parent company. Among senior execs, 87 percent said that having a strong brand for the parent company is as important as having a strong product brand. Responsible brand behaviors also influence purchase decisions. 57% of Americans said “more and more I try to buy products made by a company that does good things for the environment or community” – with 83% of Chinese consumers agreeing to the same statement. 57% of Americans say they “get annoyed when it’s not obvious what company is behind a product.” and 56 percent said they “hesitate” to purchase a product if they can’t tell which company makes it. Implications from the report included: invest more time and energy in branding the parent company like making website improvements that go into greater detail, clear labeling (more than two-thirds of respondents said they’re checking labels), and use promotional campaigns as an opportunity to talk about the parent company and the individual brands. KRC Research, IPG’s market research firm, polled 1,375 consumers and 575 senior execs at companies with annual revenue of $500 million or more in October and November 2011. Research was conducted online in the U.S., U.K., China, and Brazil. The Enlightened Trend: Shared Value vs. Shareholder Value. 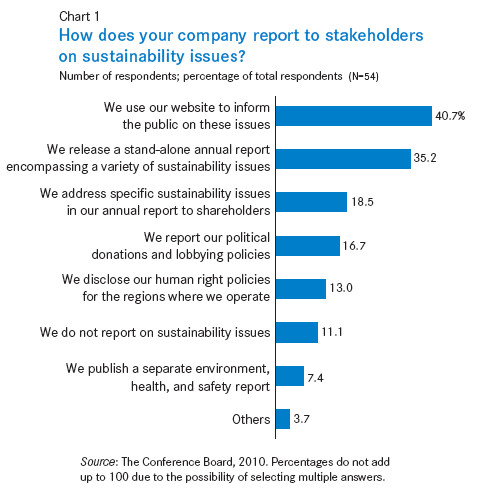 93% of CEOs believe sustainability issues will be key to business success in the future. The concept of creating shared value vs. shareholder value is beginning to penetrate the consciousness of many corporate boardrooms. This new report from FSG – the nonprofit consulting firm – gives best in class examples of social engagement strategies where corporate and social issues are aligned. The report was sponsored by HP and features examples from global business leaders committed to creating shared value, including Alcoa, GE, Cisco, and Nestle among others. From Buyer Beware To Seller Beware: IBM’s Study On Corporate Social Responsibility. 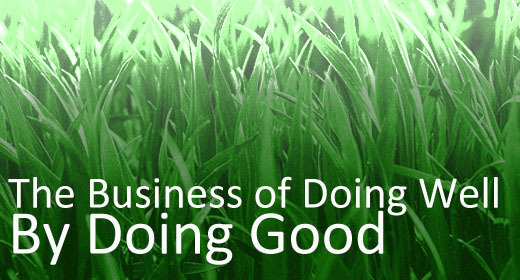 68% of companies are now utilizing CSR as a opportunity and platform for growth. 75% acknowledge the number of advocacy groups collecting and reporting information on their company has increased in the last three years. 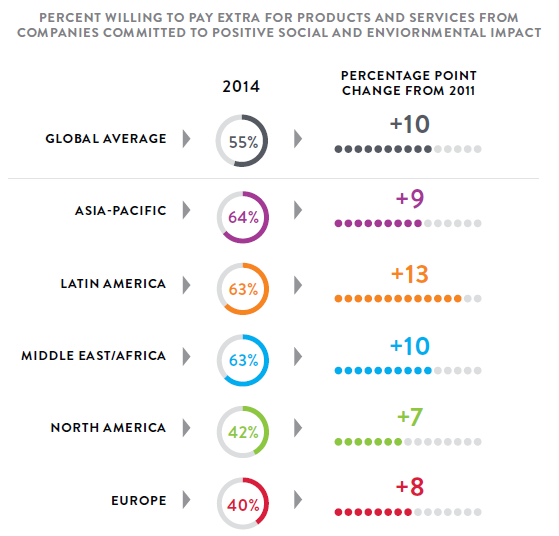 But only 17% of companies say they really engage and collaborate with their customers regarding CSR activities. Companies that truly understand the corporate social responsbility expectations of their customers report increased revenues and reduced costs and better differentiated products and services. They believe they are more effective at improving labor practices, driving sustainability initiatives and aligning philanthropy with business priorities. They also report having more engaged employees in CSR activities. Ironically, many companies invest millions of dollars in gaining an understanding customers reactions’ to products and services, but the majority are operating a CSR strategy without insight and collaboration with customers. The truth is your customer feels entitled to know everything “their brand” is doing. So we echo IBM’s point of view, today the traditional adage “buyer aware” is now reversed to be “seller beware” — especially if you are unaware of your customers’ expectations regarding your social responsibility practices.